Establishing relationships with recruiters and / or venture capital / private equity firms is a valuable marketing tool. Could you effectively seek out and connect with executive recruiters? Recruiters can be a valuable asset to your career campaign. Leading Edge Resumes can send your professional resume and cover letter to a targeted and select group of recruiting firms based on your industry, job focus and salary range. Firms include Egon Zehnder International, Inc., Heindrick & Struggles, Russell Reynolds, Korn Ferry International and more. Distributions can significantly increase interview opportunities. We re-send the distribution six weeks later at no additional charge. The database of more than 19,000 recruiting firms is updated daily. Again, each campaign is customized to fit your career focus, targeted industry, and salary range. Once the distribution is completed, you receive a detailed list containing the recruiters’ names and contact information. CEO, COO, VP, Director or other C-level candidate? You can become a Venture Capital or Private Equity firm’s dream candidate. 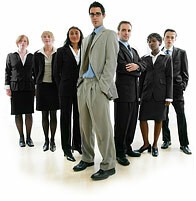 We select the right matches out of a database containing more than 10,000 firms. Call today and let me run preliminary numbers at no charge – 419.666.4518.